Photographer Binh Danh spends his summers tooling around various national parks in a distinctive white van that doubles as a darkroom. "I nicknamed it 'Louis' after Louis Daguerre," the 38-year-old says, smiling from behind his professorial glasses. Louis Daguerre invented the daguerreotype in the 1830s, and Binh Danh has reinvented it for today. Using handmade materials, Danh coats sheets of copper with silver, polishes the plates to a blinding gleam and synthesizes them with iodine to create crystals that act as pixels. Danh's work is part of a larger tradition: More than 100 years ago, early photographers helped publicize the beauty of the national parks. 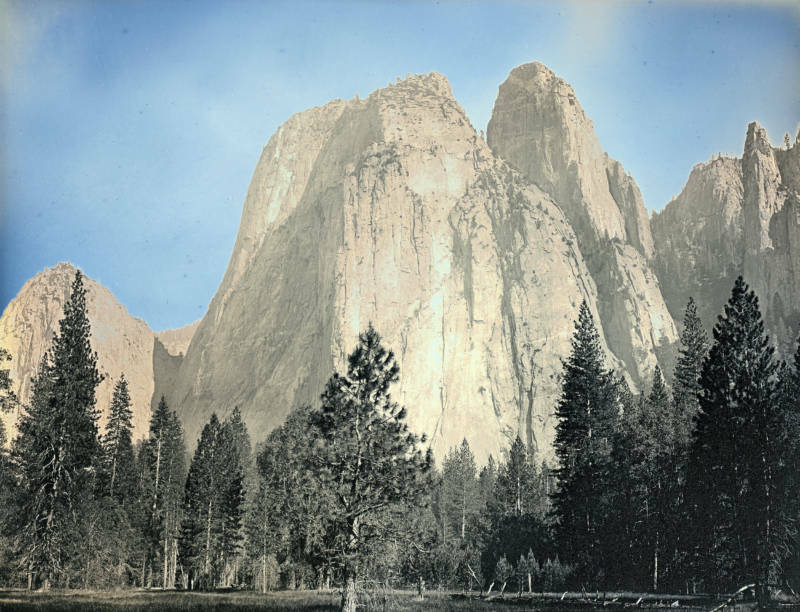 Indeed, the parks might not have existed if it weren't for photographers like Carleton Watkins and Charles Weed, whose Yosemite images helped persuade Congress to establish the first national park. But Danh brings a contemporary perspective to his work. Now a professor at Arizona State University, he and his family arrived in the U.S. in 1979. "We were the second waves of Vietnamese refugees leaving Vietnam," Danh says. He, his parents and his three siblings fled civil unrest through jungles and over the South China Sea. They spent months in a Malaysian refugee camp and eventually landed in Northern California when Danh was 2 years old. His parents spoke no English, but they managed to open a television repair shop in San Jose. "I spent all my time there," Danh remembers. "It was school, then back to the shop to work." Starting at age 5, Danh worked as the shop's janitor, cleaning the bathrooms and floors. 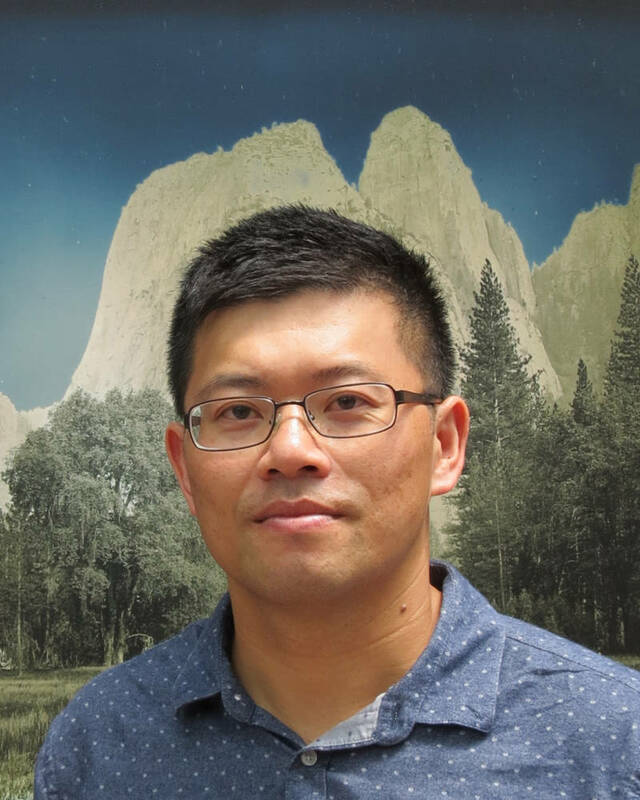 Even though they were only a few hours from Yosemite, Danh says the family never visited the national parks — after their experience fleeing Vietnam, his parents weren't interested in roughing it outside. But Danh fell in love with the pictures of the parks he saw on calendars. He became a photographer, he says, when his father gave him a camera right before a school camping trip in fifth grade. 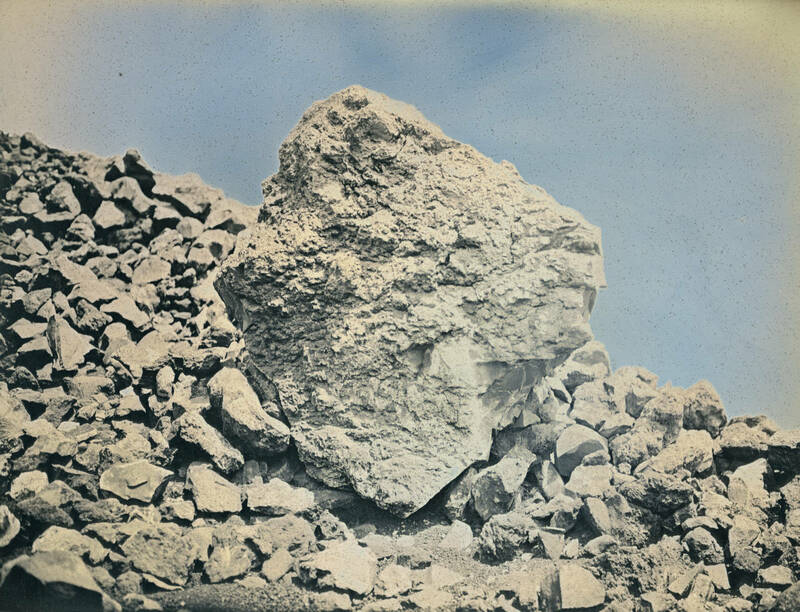 Today, Danh's silver daguerreotypes of national parks are superreflective, like mirrors. "I want viewers, when they look at my work, that they see themselves in the picture," he says, "that they also become part of this land; that they, in a way, merge with the land — but they don't quite disappear into the land. That they still see themselves in it." Not disappearing into the landscape is meaningful for immigrants thinking both about the challenges of assimilation and being overlooked. In the Ken Burns documentary The National Parks: America's Best Idea, Carl Pope, former director of the Sierra Club, says the parks "are the meaning of home for many of us. They're what it means to be an American and to inhabit this continent. It's the end of the immigrant experience. And they're what takes you and says, 'Now, I am an American.' "
Danh can recite that passage nearly from memory. He says it can be hard not to be overwhelmed by the power of the parks and how they stand for an American ideal that sometimes feels as though it's slipping away. (He's also thoughtful about the parks' histories with Native Americans, who were violently displaced when some parks were created, including Yellowstone and Yosemite.) 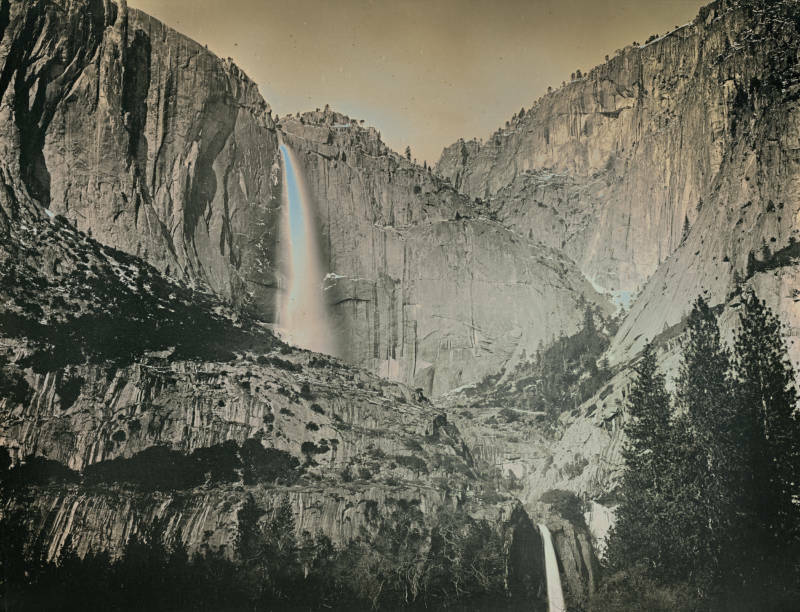 The photographer has visited about 15 national parks for his daguerreotype series, but the best-known images are from Yosemite. Images from the series have been exhibited at the National Gallery of Art in Washington and at the George Eastman Museum in Rochester, N.Y.
"We loved those Yosemite images," says Kristin Poole, artistic director of the Sun Valley Center for the Arts in Ketchum, Idaho. Poole invited Danh to be part of a project about Idaho's Craters of the Moon National Monument and Preserve. It might be one of the weirdest national parks — a vast, forbidding black volcanic field. Poole calls it a study in contrasts: "That really, really pitch black dark craggy landscape with this stunningly blue Idaho sky, and then the sparks of green that are made up of the limber pine trees that grow there," she says. 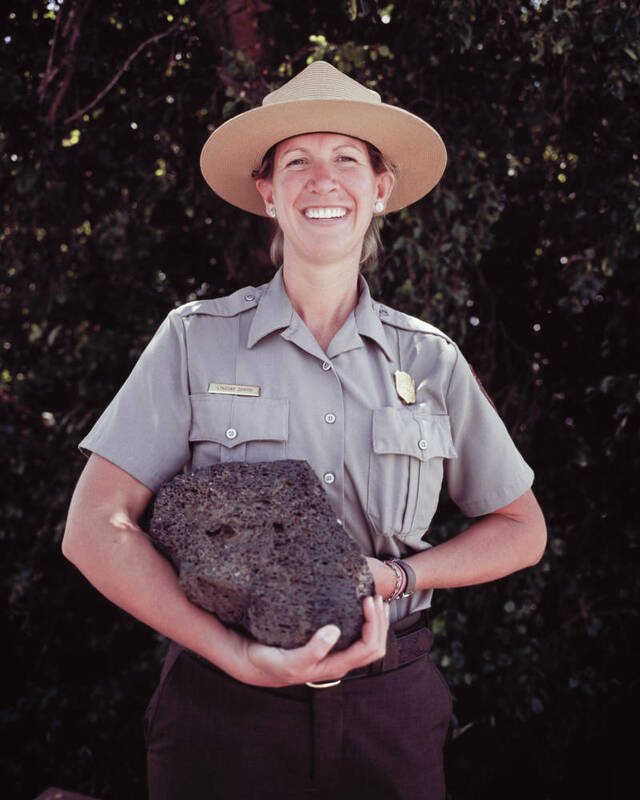 Danh made daguerreotypes of the landscape and film portraits of the park's rangers cradling big chunks of volcanic rock — 19th century equipment to create decidedly 21st century views.